Maxwell watches a lot of Cbeebies but sometimes I find it is great for him to get away from that and focus on other programmes. Every weekend in the morning I allow Maxwell to get up and watch Channel 5 Milkshake. There is a great range of programmes for him to enjoy but one of his favourites is on at 09.40 - Jelly Jamm. Recently we were asked to review some of Jelly Jamms products to celebrate their launch in the UK, we were sent their Radio Goomo DVD to review. 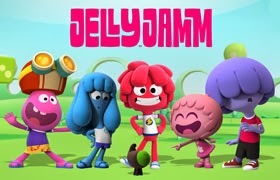 Jelly Jamm is a cartoon series aimed at children. It follows the adventure of a group of friends - Bello, Mina, Goomo, Rita and Ongo from planet Jammbo. Planet Jammbo is origin of music in the universe. Jelly Jamm shows a tale of friendship, fun, happiness and adventure. The DVD we were sent had cute animations which Maxwell enjoyed and our screen was full of bright fun colours. Each episode on the film was made with a lot of attention and care and we found ourselves laughing throughout. The DVD teaches children many things but one of the biggest things I noticed was there was a lot of lessons on friendship. As children grow, I think this is a skill they need and I am glad that Jelly Jamm helps children to learn this. Maxwell enjoyed each episode and we found the episodes not to be partially long which is good as Maxwell occasionally likes to get up and wiggle around. 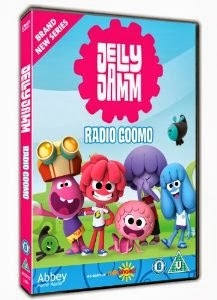 You are able to purchase the Jelly Jamm Radio Goomo DVD on Amazon UK for £5.99. 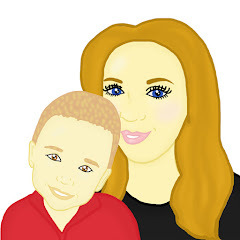 For further information on Jelly Jamm please visit their UK Facebook page and the soon to launch English YouTube channel!